Actor Stephen Baldwin says Donald Trump is exactly what America needs in a president. 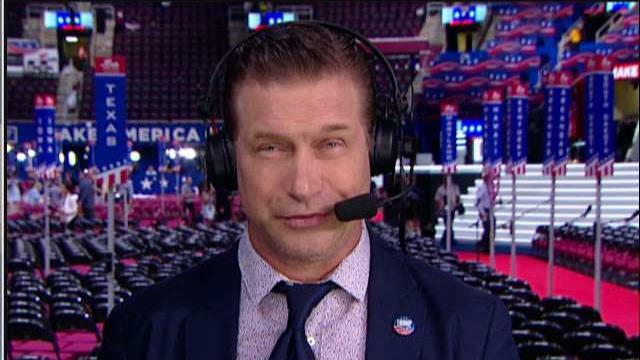 Actor Stephen Baldwin left Hollywood, where he is producing his first feature film, just to support Donald Trump at the Republican National Convention in Cleveland. A week before the first Republican Presidential debate, Baldwin publically announced his support for Trump, even saying he "loves Mr. Trump." Baldwin said he hopes to keep Hillary Clinton out of the Oval Office, but that’s not the only reason he’s backing the billionaire real estate mogul. Baldwin said he has fun defending Trump, and while he doesn’t dispute with his celebrity brother, Alec Baldwin, he and his older brother, William Baldwin, don’t see eye-to-eye politically. When asked why his views differ, Baldwin lightheartedly poked at his brothers’ sensibility.